By Dale Johnson Posted: May 26, 2018 4:00 p.m.
Congress 2018 began on Saturday, May 26, at the University of Regina with a variety of events, presentations, and displays. ● Queering the Queen City: An audio walking tour: Take an audio walking tour of queer history and contemporary issues in downtown Regina. You’ll learn about the city's pride parade, the role of gay bars, gender policing at barbershops, and more. This tour can be taken anytime. Download the izi.TRAVEL app onto your smartphone (available in the iTunes App Store or on Google Play), open the app, search for "Queering the Queen City," put on headphones and press play. Daily, 8:00 a.m. to 11:00 p.m.
● Talkin' about school and society: How do we support gender and sexually diverse kids in a homophobic world? This informal discussion series features knowledgeable presenters and audience participation. This session explores Gay Straight Alliances in view of recent policy shifts, laws and attitudes across school systems. ● Thinking About War: Join Margaret MacMillan for one of the Big Thinking lectures as she analyzes the tangled history of war and society and our complicated feelings towards it and towards those who fight. MacMillan is a Professor of History at the University of Toronto and former Warden of St Antony’s College and Professor of International History at the University of Oxford. Riddell Centre-University Theatre, room 170, 12:15 – 1:15 p.m.
● Jeffery Straker: The acclaimed Saskatchewan singer-songwriter-pianist will perform a solo concert at the University Theatre at 7pm. 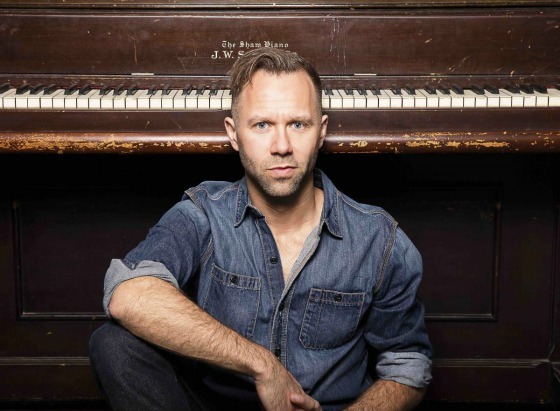 Jeffery Straker has recorded for CBC radio’s ‘Canada Live,’ had a music video chart in the top 10 nationwide and has toured internationally playing pianos in places as far away as Mexico, Chile and Peru. Riddell Centre-University Theatre, room 170, 7:00 – 9:00 p.m.
Congress is an annual gathering of over 70 scholarly associations, each holding their annual conference under one umbrella. This year’s theme is “Gathering Diversities”, reflects the history of Regina as a traditional place of gathering and rich buffalo hunting grounds for Plains cultures. These are just a few of the free public events taking place during Congress 2018. For more, visit the Congress 2018 website. More information about the Federation and Congress 2018 is available online at the website, Twitter, and Facebook.